As a travel writer, I’ve stayed in a lot of hotel rooms, from the bare bones basic to the breathtakingly expensive. And I’ve learned that the cost of a hotel room bears little relationship to how close it comes to perfection. In fact, one of my most comfortable nights was spent in a cheap chain hotel room at a motorway rest stop. What makes the perfect hotel room? Worrying that my standards might be unusually low, I conducted a very unscientific survey of my travel writing and blogging colleagues in the British Guild of Travel Writers. It turns out that, among experienced travelers, traditional luxuries fall pretty low on their lists of what makes the perfect hotel room. Cost is no indicator of perfection. And, for purposes of this list, neither are views or destinations. Cost is no indicator of perfection. And, for purposes of this list, neither are views or destinations. Soft, powder sand beaches beside turquoise waters under reliably cloudless blue skies can make up for a certain amount of inconvenience or discomfort. And friendly, helpful staff are essential. 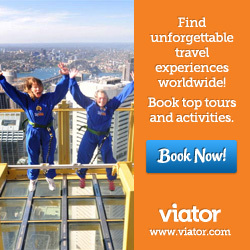 Even the most seasoned traveler is more stressed by minor mishaps and inconveniences when away from home. Knowing you are in the hands of competent, knowledgeable, pleasant staff can make up for a lot of other shortcomings. 1. Decent beds – It should go without saying that a comfortable bed, with clean sheets free of critters, is not negotiable. Sadly, some hotels do need reminding. 2. Reliable wifi – Hotels in remote areas where the only internet connection is via satellite have a get-out clause on this one. But if broadband or wifi is generally available in the area, in this day and age, it should be free. 3. 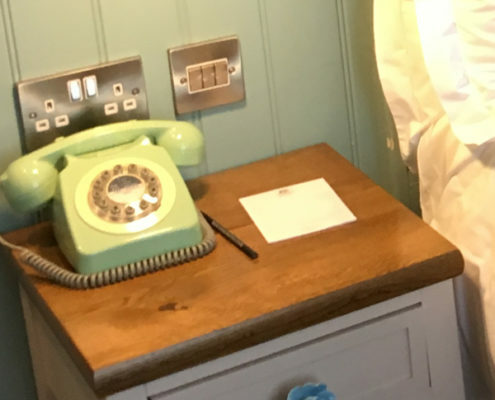 An up to date directory of hotel services – The most basic directions – how to reach reception, how to connect to the wifi, how to work the television and clock, should be on the first page. Power outlets above the bedside table. Power points beside the bed, even better, power points above the bedside table so you don’t have to crawl around on the floor to find them. Power points within reach of a mirror so guests can use their own hairdryers or curling irons. Conditioner as well as shampoo – with labels that can be read without a magnifying glass. 6. Adjustable mirrors – Shaving or makeup mirrors that can be moved over the bathroom basin (where, we hope to find the best light) are a real plus. 7. 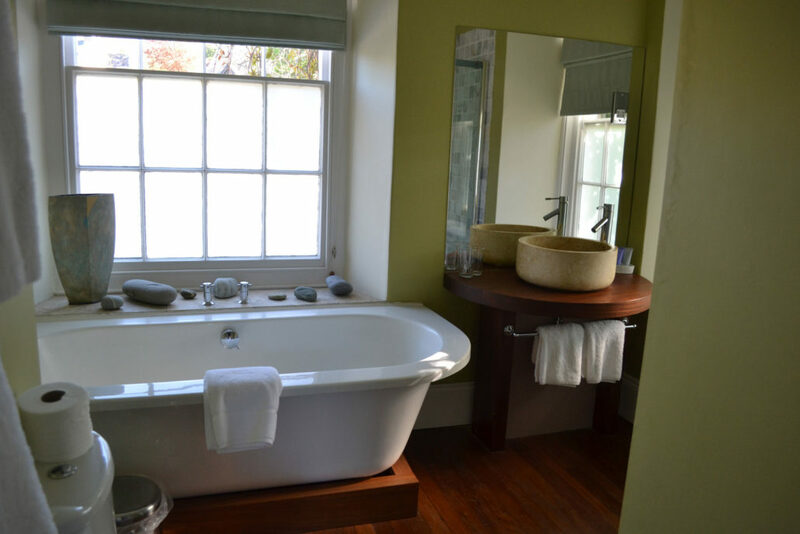 Bathroom light – Reasonably bright is essential, near the mirror and flattering gets extra points. 8. Smooth, safe floors in bathrooms – Bathroom carpets are almost always mildewed in the corners, damp and disgusting in no time. Shiny, highly polished marble floors can be killers. 9. Full tissue boxes – What’s with the artfully folded tissue paper flower that fills the top of an empty box? Tissues are not room decor they have a function. 10. Easily adjustable heating, lighting and air conditioning – Guests shouldn’t need an engineering degree to turn off the lights but some trendy modern hotels have to provide a 50-page manual just to come to grips with the room electronics. 11. Bright enough lighting – The first generation of energy saving light bulbs take about twenty minutes to reach full brightness. By then, you’ve stubbed your toe, mistaken the TV remote for a portable telephone and carried all your shirts into the bathroom, one at a time, to see what colour they are. Because those bulbs last for years – getting dimmer and dimmer all the time – some hotels still have them. Replace them with newer, brighter bulbs otherwise the number of lights guests need to turn on and the length of time they have to be on to warm up cancels out any energy saving. 12. Bedside reading lights – Two separately adjustable lights with little light spill in double rooms. 13. Window coverings that let in daylight but protect privacy – Ground floor rooms are a particular problem. You have a choice of putting on a show for passing pedestrians or spending your time in perpetual gloom. 14. Plenty of tea and coffee – This is something that even the best North American hotels still have not cottoned onto. 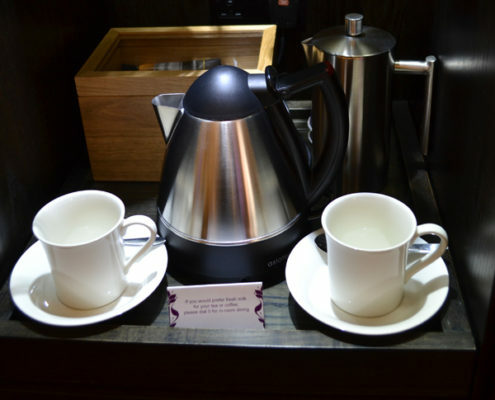 Most British and European guests expect to find an electric kettle or other coffee making system and plenty of teabags and packets of coffee. And please, instant coffee tubes that can be easily opened without scissors, milk packets that can be opened without squirting. 15. Invisible pest control – I understand that country hotels in farm country or beside rivers may have to keep rodents under control. But really – do the rat bait boxes have to be in plain sight, right outside the door? 16. Human-friendly dog bins at dog-friendly hotels – If you expect me to clean up after Lulu, I need someplace to deposit her gifts without climbing through an evil smelling convention of dumpsters behind your kitchens. One otherwise lovely dog-friendly hotel in Devon expected me to take the stuff back to London with me in my car. No thank you – I’ll leave it to nature. Juices – Is that cloudy yellow drink grapefruit, cloudy apple, pineapple or even papaya juice? Is that pinkish, reddish stuff pink grapefruit or blood orange juice? Dairy products – Is it yogurt, sour cream, double cream or quark? Is the milk skimmed, semi-skimmed or whole? 18. Soundproofed rooms – Whether it’s the couple next door having a really good time, or the drunken revelers staggering home on the streets under your window (ah Inverness), I don’t want to know about it. The perfect hotel room should be soundproofed. For airport hotels, even at the budget end, this is an absolute requirement. 19. Adequate space – Rooms don’t have to be enormous to be perfect, but they should be big enough to move around in without constantly bumping into the furniture. 20. A place to put luggage – A small folding luggage rack is all that’s needed. It’s annoying to have to run an obstacle course around your open suitcase on the floor. 21. Real hangers – When I find those two part hangers in the wardrobe of an expensive hotel, it affects me the same way as finding bottles of liquid soap or printed notes reminding me to please leave the toiletries. Is that birdsong I hear – cheap cheap cheap? 22. Drinking water – If the water that comes out of the tap is warm or unpalatable or in short supply, guests should not have to pay for bottled water. 23. A chair and table – An alternative to the bed for having a cup of tea, getting some work done or letting the kids play with their colouring books. 24. 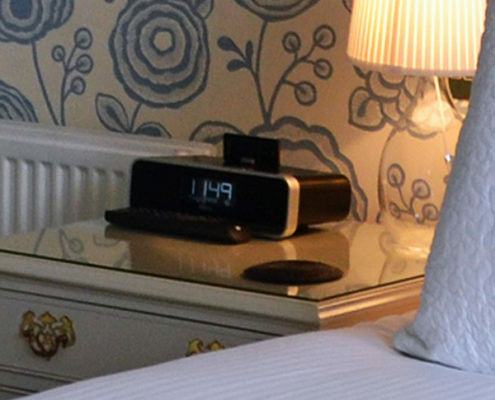 A clock – Ideally, a radio alarm clock. Not everyone carries a smartphone and hotels can be unreliable about wake-up calls. It’s nice to have the reassurance of an easy to read and easy to set alarm clock. 25. An absence of places for bedbugs to hide – so no flounces and ruffles and upholstered headboards please. I’d really rather take home happy memories of a hotel than a zoo in my hair. 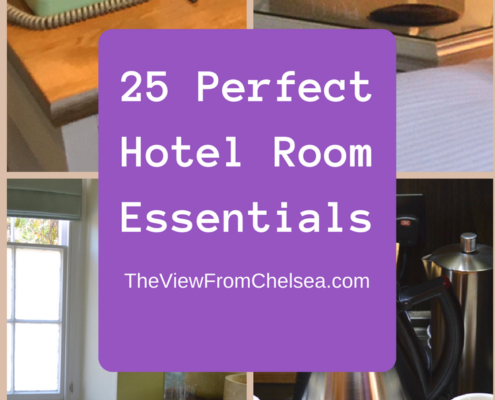 What makes a hotel room perfect for you? Even though I interviewed traveling colleagues, this list is still somewhat personal. Have I left out hotel room features that spell perfection for you? Please let me know. Click here, scroll to the bottom and share your suggestion in the comments box. Like this post? Please share and pin. Yes to all of these, especially fresh juice, not packaged juice and bedside lighting. Oh yes, especially a good breakfast. Continental breakfasts in hotels can really vary; slices of plastic cheese, dubious turkey slices with a slab of bread and that’s it doesn’t really do it for me. But fresh yogurt, fruits, cereals and if in the UK, a choice of a fry up is great! Hi Ferne. Rarely seen, but very important, is a peg upon which to hang your wet coat or jacket. I would suggest that hotel bedroom design is usually carried out by people sat in offices, so no reminder there that guests might arrive in a room from the great outdoors! Im pretty low maintanance, but I SUPER DUPER HATE those fake hangers! Do people really steal hotel hangers that they have to put those bogus ones!??!?! Yes yes yes to all of these! Especially plugs and mirrors – and the room controls. I once stayed in a hotel where I couldn’t work out how to switch off the bathroom light! Helen, I once stayed in a room where I got trapped in the bathroom – and I had not even locked the door! Great piece– so many of these are at the top of my list, too. A good-quality mattress and comfortable bedding is more important than fancy decor, yet so many hotel rooms emphasise superficial details while not offering a high-quality bed. Bedbugs are my personal nightmare, and the fear of them have kept me away from many family owned 2-star hotels, because I’m not sure I trust they’re vigilant enough. This is an essential checklist– great piece. Thanks- I too am afraid of creepy crawlies of all kinds. You nailed it with this list! All of these factors are important. For me cleanliness and convenience are key! Free in room champagne would be great as well, but now I’m just dreaming. For # 18 Soundproof Rooms – also essential when the housekeeping staff starts making early rounds and you want a few more minutes of sleep. Thanks Nailah. Simple basics can often be perfect when complicated “luxury” can be anything but.